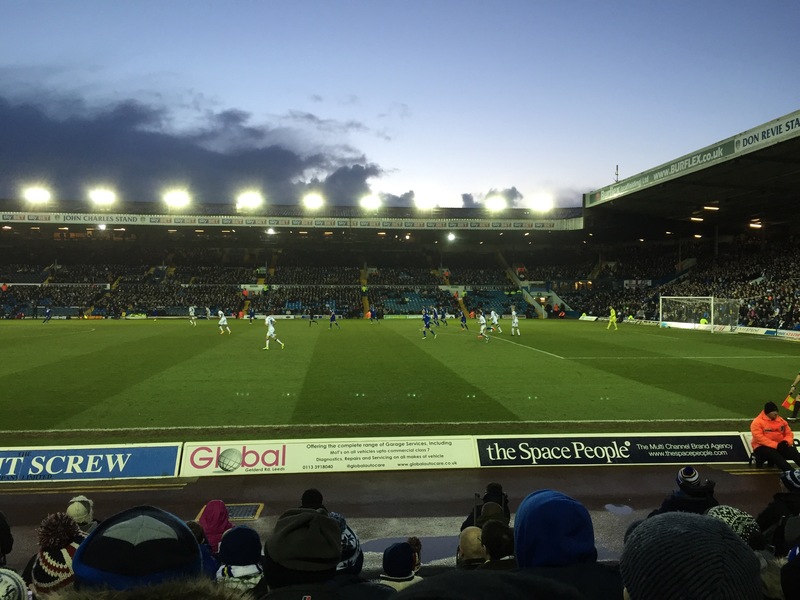 The musings and observations of a well travelled, Leeds United following, baseball loving, beer drinking, random guy! This Saturday me and my friends Chris & Steve continued the traditional attendance to watch our teams Leeds and Birmingham play each other. 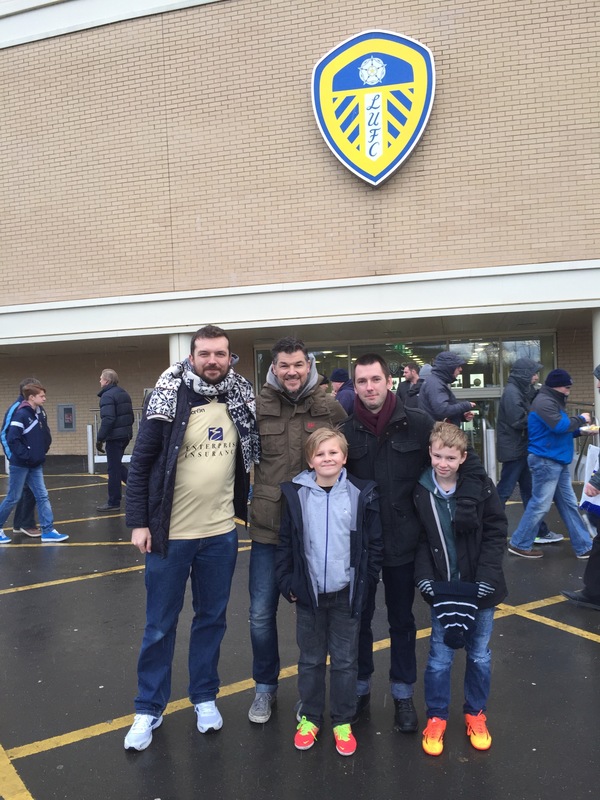 This time around it was slightly more special as both Oli and Luke (Chris and Steves sons) were attending their first ever away match to watch their team Birmingham play. After the previous meeting this season in Birmingham, which saw our sides battle out a 1-1 draw both our sides have had differing seasons. My beloved Leeds United just can’t buy a win and find ourselves one place above the relegation zone. Birmingham City on the other hand are the “form side” and with a new management team in place are up to the dizzy heights of 12th. Not bad considering they were all set to struggle yet again after their dramatic last day escape act at Bolton last season. We met up at Leicester services and despite arriving safely had the first drama of the day. I’d sat in the car far too long with the heating and radio on and because of this drained the battery. What followed were comical scenes as we tried to jump start a power steered car around a car park on the M1. At the second time of trying we got there and were all relieved as my car whirred into action. The drive up was equally dramatic with various periods of black skies throwing down sleet and snow as we got further North. At one point we saw the clearest rainbow and almost passed the end of it. It was so clear you could even make out the Indigo band, sadly no gold pot was to be seen. With the car finally Parked up we wandered down a familiar path to me with some new additions, each footstep closer the buzz of anticipation grew. A quick stop at Greigs provided us with cheap food and hot drinks to keep us going. As we arrived at Elland Road I showed Oli and Luke around our club shop which in comparison to Birminghams is about ten times the size. We had a walk around the outside of the ground, saw the Billy Bremner statue and had our photo taken outside the stand of the ground. As we peered through the gap from inside out to the ground the snow was hammering down. A bitter cold swirl of air felt as we pondered finding our seats. We were welcomed by wet seats despite being under cover, the wind can be cruel. A quick dry with our hats and coats and we were ready. The anticipation evident with just under 24,000 fans sat down following their prematch ritual be it a beer or a pie, or both. The game was frantic from the off and despite an early penalty given to Birmingham which was duly converted by Caddis, Leeds were always dangerous. As the first half came to an end Leeds were knocking on the door and a cross looked to have been bundled in by Belusci only to see it somehow clawed away off the line by Randalph. Oli and Luke did well, I know how difficult it is not cheering when my team has scored, they were unmoved. The second half saw both sides hit the woodwork and debatable decisions not go the right way. Three penalty calls were all turned away as the tension grew. As the game headed into the last five minutes Luke Murphy was the saviour. He maintained his cool and steered the ball home on the half volley from just inside the penalty area. A draw was a fair result and one that keeps Leeds United unbeaten against Birmingham City over the last two seasons. Everybody enjoyed themselves which at the end of the day is what it’s all about. Luke and Oli both ticked off a big achievement from the life list and I look forward to having them both back next season. That is if we can hang onto our status in the Championship this season! Posted on January 18, 2015, in Big Events, Family and Friends, Football, Real Life, Sport and tagged birmingham city, car, drama, Elland Road, Leeds United, leicester, luke murphy, rainbow, snow. Bookmark the permalink. Leave a comment.